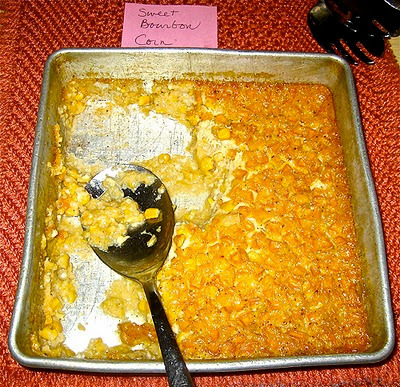 Cornbread Supper regular (and recipe sleuth) Elise Mandel brought this sweet dish to Supper on November 29, 2010. Here's the recipe. Thank you, Elise! Preheat oven to 350 and butter an 8 x 8 baking dish. Bake 45 - 48 minutes or until lightly browned.